A study by Harvard Medical School showed a direct impact on quality of sleep & your ability to effectively lead. When we are not sleeping well it impacts our consistency, engagement, stress levels & the ability to make good decisions. That old adage “sleep on it” has never been so true. 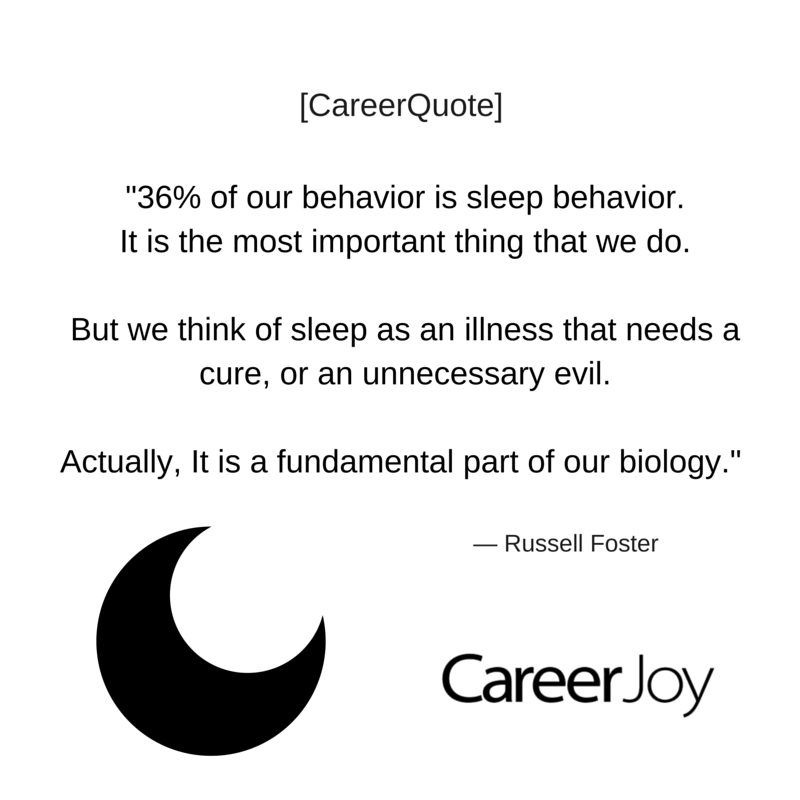 TED | Russell Foster: Why Do We Sleep? P.P.S. Do you have a loved one who feels “stuck” or needs some support in launching their career? Each month CareerJoy gives away one Career Coaching Program valued at $800! Nominate your deserving friend or family member to win – please visit www.careerjoy.com/community to learn more.